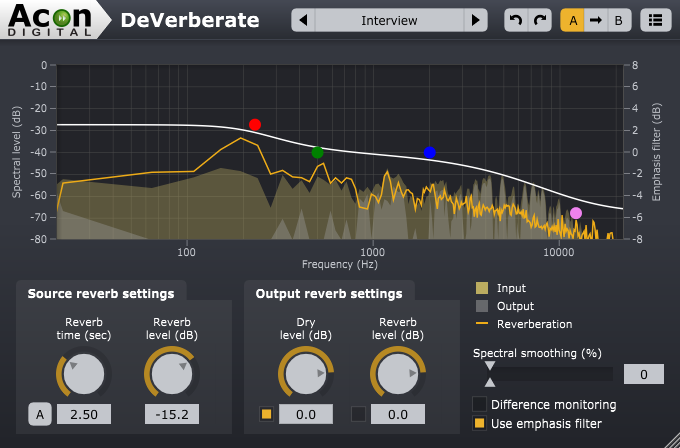 DeVerberate, Stereo treatment software from Acon Digital Media. Product replaced by the Acon Digital Media DeVerberate 2. Acon Digital has released the version 1.1 of its DeVerberate processing plug-in for Mac and Windows, in order to add the AAX support. The update is free for users of the v1.0. 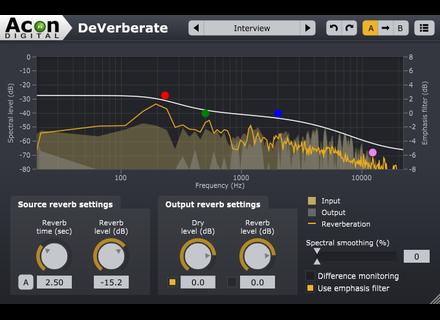 DeVerberate is available for $99.90 at acondigital.com. Camel Audio offers Taste of Camel Owners of the Alchemy Mobile Pro synth can log to their Camel Audio account to get a free patch library for the desktop version. New Alyseum AL-88c MIDI patch Alyseum upgrades its AL-88 MIDI patchbay in a new version that will be available in March. 3 McDSP plug-ins at half price McDSP is offering a 50% discount off three of its plug-ins until February 13th.